Not all CPE programs are alike and we’re quite confident ours stands out. Our approach is rooted in the case study method adopted in 1925 by CPE founder Anton T. Boisen. At the same time, the content in our program is fresh and current, preparing those we train to work at the cutting edge of chaplaincy in the 21st century. We do not focus only on spirituality and religion but on understanding and helping people to find meaning and purpose on their own terms given their own unique situations, conditions and settings. Boisen saw in everyone he ministered to a “living human document.” Each person is a unique, embodied, sacred text to be understood, appreciated and helped by the chaplain. This recognition led Boisen to count theology among the social sciences and is why our program includes depth psychology, sociocultural anthropology, systems theory, semiotics, neuropsychoanalysis, and group relations theory as essential resources in the chaplain’s work. Our students have described our CPE program as “empowering,” “eye-opening,” and “totally transformative.” We know this: it is both challenging and highly rewarding and puts the chaplains we train on the cutting edge. While of course we believe that clinical chaplaincy must have a caring and compassionate core, we approach CPE and therefore clinical chaplaincy as much more – an interpretive and intersubjective enterprise between the chaplain and the person or persons they care for. We believe that our caring for someone who is experiencing spiritual distress in the midst of uncertainty, crisis, distress, loss, grief or perplexity involves our helping them to face complex situations in a personally meaningful way. This takes a subtle and sophisticated understanding of ourselves and others. That’s why our CPE program trains chaplains to offer much more than facile religious formulas and simple human kindness and presence. We take seriously whatever faith one identifies with as a starting point. Many people find their religion brings meaning and purpose to their life — whether it is Roman Catholicism or Buddhism, Protestantism or Native American spirituality, Islam or Hinduism, Judaism or any other named system of belief. That includes those who identify as “spiritual but not religious,” the fastest-growing self-identified group in America today. We also believe the work we do in clinical chaplaincy must be not only respectful of but also helpful to those who claim no faith at all. 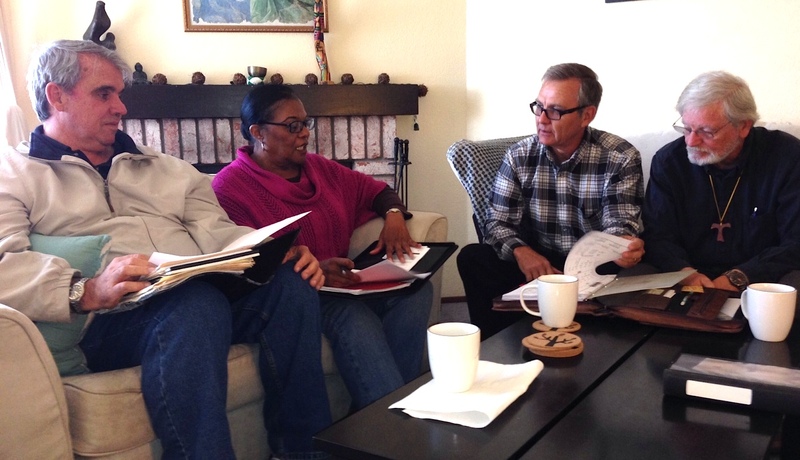 For some, CPE is the gateway to a new career in professional chaplaincy. For others, it is a way to enhance and deepen their present work in ministry. For still others, it is a time of discernment or rediscovering a calling. We find that for nearly everyone in our program it is a profoundly transformative experience and a unique opportunity for personal and professional growth. We see diversity as a resource to draw from, not an obstacle to be overcome. Who you are, whoever you are, is an important contribution to our program. Your own particular background, identity and life experience are important and valued in our CPE program, as is that of each person and family we care for. Diverse also describes the spiritual caregiving opportunities you will find in our program. We offer placements in a trauma hospital as well as a hospice, working with those in long-term rehabilitation as well as acute care settings, among families who have a loved one in an ICU as well as parents and grandparents of premature newborns, and so much more. There is one more reason to seek admission to our program: each of our CPE supervisory team members is a distinguished leader in the field of clinical pastoral care. We pride ourselves not only on the innovative and exceptional quality of training you’ll receive but also the fact that over the course of four CPE units we include the elements -such as writing a pastoral care theory paper, for example – that are necessary to help prepare each chaplain we train for board certification by the College of Pastoral Supervision and Psychotherapy. We invite you to apply for membership in our next CPE cohort group.